So here's the new blog layout after some tinkering and sorts. Not yet use to seeing the new header everytime I open up my blog. I'll probably change it up once in a while just for fun anyways, but for now I'm quite happy with how it all turned out. So finally getting some stuff organized and done, like taxes (boo for taxes), my kitchen pantry (yay! ), and my craft table (I can actually see the table now!). 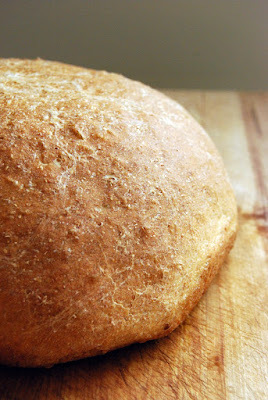 Now I finally had a chance to bake some bread today and work on my next crocheting project. My house smells like bready, goodness heaven right now!